Curbside Veggie Grill has gradually become a staple in the Atlanta DIY community. From pop-ups at your favorite musical performance to a permeating presence at numerous outdoor festivals and events. Aisha Allah - owner and head chef - has gained an esteemed reputation around Atlanta. 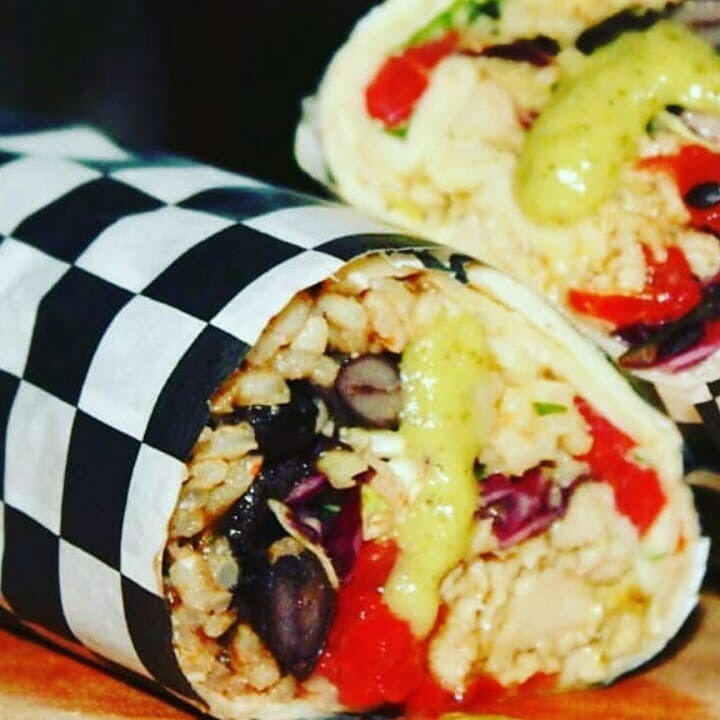 From the moment you walk in the vicinity of Curbside Veggie Grill's fragrant stand you become ensnared by an aromatic stimulation that you wouldn't expect from a mobile food vendor. Spices and fresh ingredients fill the space between you and their quaintly decorated stand. The scent wraps around you and pulls you in to catch a glimpse at the permeating savor. Food isn't the only thing Aisha serves. She provides customers with a warm and generous demeanor. A family is important and Curbside represents that statement well. Curbside is a family operated company, and they go out of their way to make their customers feel like they are apart of their family. When this is done right, that feeling lingers and creates a culture of love and uninhibited expression. It's similar to art in that way. Aisha is pushing boundaries and creating culture via inspiring fare. 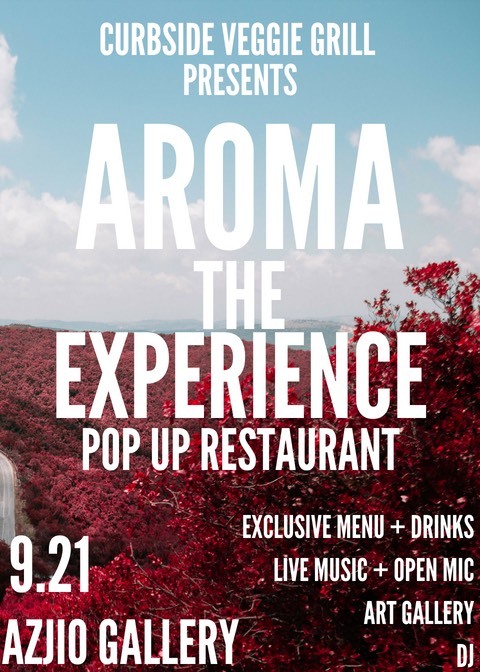 Aisha's upcoming curated event, Aroma the Experience, is a combination of many different artistic mediums into one experience. The fusion of conventional art, food and music can seem simple, but given that our sense of taste takes precedent makes the experience something to anticipate. Curbside wants to create an environment of enjoyment that leaves a lasting impression on all of your senses. The event will be hosted by Emmy Wu and FUN and features special musical performances by Edi, Jaixx, Auni Saxton, Kris with a K Poetry and more. Exclusive drink and teas will be provided by Majestea, and Eighty7sweets will provide a very special vegan dessert menu. Also, be sure to check out live painting in the mini-art gallery by the talented Keenan Chapman. Curbside's fare is an experience that you have to taste for yourself. Step out on September 21 and swing by Aroma the Experience curated and presented by Curbside Veggie Grill. The event will take place at Azjio Gallery, and you can pick up your tickets here. All proceeds from the event will be going towards a Curbside Veggie Grill brick and mortar location. Be sure to follow Curbside Veggie Grill on Instagram and like them on Facebook.